Schooldays at St Clare's are never dull for twins Pat and Isabel O'Sullivan in Enid Blyton's much-loved boarding school series.In book six, Pat breaks her arm and misses the first weeks of term. Will Pat be upset when new girl Amanda becomes Isabel's new best friend'Expect more mischief at St Clare's!Between 1941 and 1946, Enid Blyton wrote six novels set at St Clare's. 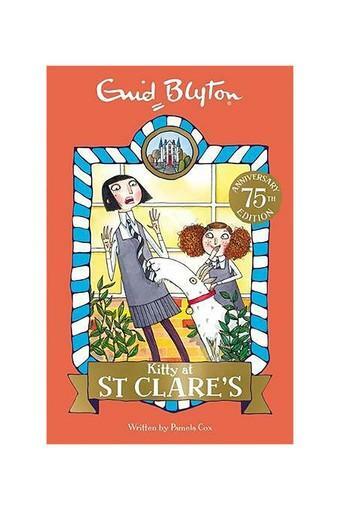 Books 5, 6 and 9 are authorised sequels of the series written by Pamela Cox and feature storylines set in between the original Blyton novels. These books were published in 2000/2008 and are unillustrated. Enid Blyton's books have sold over 500 million copies and have been translated into other languages more often than any other children's author.. She wrote over 600 books and hundreds of short stories, including favourites such as The Famous Five,The Secret Seven, The Magic Faraway Tree, Malory Towers and Noddy.. Born in London in 1897, Enid lived much of her life in Buckinghamshire and adored dogs, gardening and the countryside. She died in 1968 but remains one of the world's best-loved storytellers.